The learning of times tables (the collection of multiplication facts up to 12x12) is currently in the spotlight with the Government introducing a times tables check for all children in Y4 from 2020. As two people passionate about maths education senior lecturers Caroline Rickard and Lorna Earle don’t dispute the benefits of children having well-embedded known facts, but do believe our focus should be on children learning about times tables, as opposed to purely learning the multiplication facts (a subtle but important difference). They undertook a research project in two of our partnership schools, which reinforced their belief of the benefits of taking a connected approach to teaching and learning about times tables, where children have the opportunity to explore and reason about multiplication facts. Testing establishes whether a child can or can’t give a certain fact within a certain time frame, yet assesses nothing about the connected nature of their knowledge. Rather than seeing the 144 facts in isolation, Caroline and Lorna want children to appreciate the relationships between those facts (that 8x5 will be double 4x5 for example) and this has implications for practice. Learning about times tables includes actively pursuing efficient methods for working out unknown facts or checking less secure answers. Although children often rely on counting all the way through in multiples of 7 (7, 14, 21, 28…) to get to 7x9 it can tediously slow (particularly if the child resorts to counting on in ones) and terribly prone to errors. In contrast, realising that 7x9 ‘sits’ one seven before 7x10 and that we can count back, then an understanding of the relationship between these two facts is demonstrated with a level of efficiency. We sometimes talk to children about mathematicians being ‘lazy’, wanting to find the most efficient way to an answer and not wanting to do more work than necessary… it’s an idea they sometimes find surprising but very often connect with, enthusing them to work towards more efficient approaches. Awareness of the commutative law – that I might not know my 7s for 7x5 but realise I know the answer to 5x7 as I know my 5s and I appreciate the answer will be the same. Use of nearby known facts – for example I know that 7x7=49 therefore 7x8 must be 56 as it will be an extra 7. This could involve going up or down to get to the required multiple. The ability to scale answers up by doubling – for example that the 4s are double the 2s, and the 8s double the 4s. To contemplate doing this I have to appreciate that there’s a relationship. 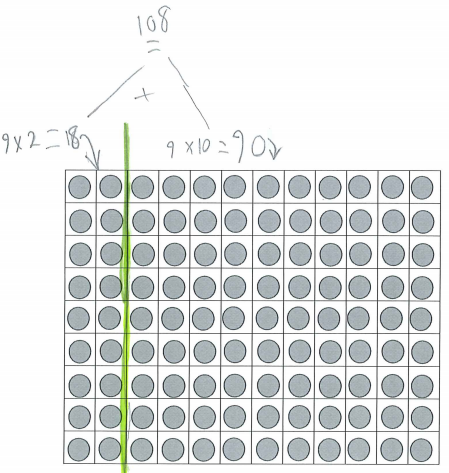 The ability to scale answers down by halving – in particular that if I know x10 of something then I can calculate x5 by halving. The ability to partition where appropriate – particularly useful for multiplication involving numbers above 10. Developing awareness of the odd or even nature of an answer – in part because this can help us to spot an unexpected answer and allow us to check it. 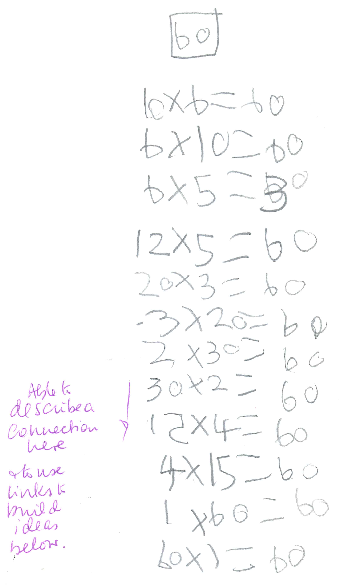 Hopefully these are the sorts of features of times table knowledge that you already draw the children’s attention to; from Caroline and Lorna's experience and research they believe the sooner we can help children to spot such relationships the better. Understanding that time is precious, consider whether it is possible to give the time that might be spent repeatedly testing times tables over to tasks which get children reasoning about how the various times tables and multiplication facts link to each other. Through encouraging and achieving this depth of understanding, the retention of the facts will follow. If you would like further information, please contact L.Earle@chi.ac.uk.